People create stories that shape and express their perception of the world. Implicit in the story is the telling: there is always an audience, in a room, on a street, on a screen or merely in the abstract, and the telling creates situations, contentions and interactions. The telling is also always mediated, structured by the form of communication. Digital media today has exponentially challenged the potential of storytelling. As the CU Digital Storytelling Lab puts it, “technology, as a creative partner, has always shaped the ways in which stories are found and told. In the 21st Century, … code, data and algorithms … have changed the relationship between creator and audience.” For urban designers, digital storytelling offers new ways to gather and co-create stories as well as to experiment with methods that register multiple actors and narratives and examine different scales of place and policy. Digital technologies also create the capacity to bring into view new perceptions, new publics and new assemblages of urban relations. The Urban Storytelling Conference, jointly hosted by GSAPP’s MSAUD program and Columbia’s Digital Storytelling Lab, aims to share state-of-the-art work and ask how stories can transform urban culture. Kate Orff, MSAUD Director, on how urban design work is changing relative to an activist stance toward research, community engagement and storytelling. Aviva Kapust, Executive Director of The Village of Arts and Humanities and co-founder of their SPACES: Artist-In-Residence program will discuss how sustained encounter with communities, before, during and after “creative placemaking” is critical to the success of projects and programs that seek to confront social inequity and renew stakeholder investment in urban neighborhoods. 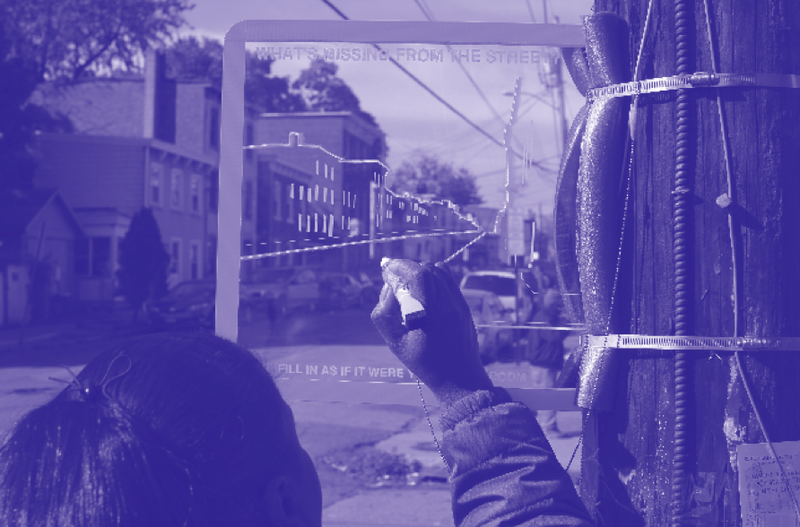 We will discuss how storytelling is used as a powerful tool in the research, design and execution of projects that are created with and for residents of our North Central Philadelphia community. Join Toby Chaudhuri Vice President, Strategic Communications and National Partnerships at PBS on the value of public media and its role in making real change, and how the concept of “living stations” can help regenerate local communities. Drawing on a range of projects for Museums and Public Spaces, Jake Barton will discuss how physical spaces can create agency and choice for visitors. Introducing deep engagement is the key for any storytelling medium, and physical space has unique properties relating to social connections, authenticity and discovery. A key component of play is how it facilitates interaction between people: forming teams, constricting behavior, encouraging clever collaborations and motivating competitions. In this talk, game designer and Come Out & Play co-founder Nick Fortugno analyzes the way systems can be designed to create communities and encourage exploration of public space by leveraging the creative and freeing power of play. The Director of the Columbia Digital Storytelling Lab Lance Weiler shares work that mixes story and code in an effort to evoke emotion and empathy, highlighting real world examples. UD faculty member Sandro Marpillero introduces the interactive prototyping component. At 5:00 PM, for the final activity of the Symposium, all participants are invited to help test and refine a prototype ‘apparatus’ aimed to facilitate community engagement. This exercise is part of the ongoing Urban Design studio work. The apparatus will then become part of an on-site workshop in Newburgh and Beacon on Oct 17th.